Mowlana Chat is a free Afghan flash chat platform where you can make friends. The website is new but there are many Afghan people who you can chat with on the website. There are many friendly and nice people on the website. You can chat with them and make new friends on there. You will able to find people who knows English on Mowlana chat. The chat panel is in English language. So it won’t be problem for you to use the options on chat room. You can use the board in other languages too. We are going to tell you how to chat on this chat site on here and you will able to make friends from Afghanistan with our tips. 1-) Go to main page of Mowlana Chat. 2-) Click on “Welcome to Mowlana Chat” or “Enter Mowlana Chat” texts. 3-) Wait until the flash chat board load in the page. 4-) Enter a nickname for yourself. 5-) Select your gender from the options. 6-) Please mark the Guest selection in the field. 7-) Click on “Login” button. 8-) Enter “Mowlana Main Room”. 9-) Begin to chat with people. You will able to see the other users from the right sidebar of the chat panel. That is all you need to do. 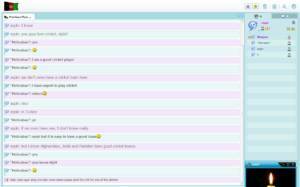 We recommend Google Chrome for you to use this chat room. If you don’t still have it, please install it to your PC or MAC for the best chat experience.